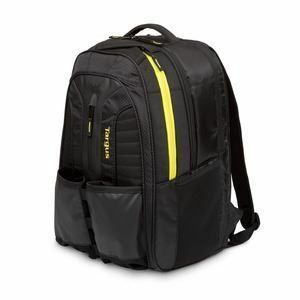 The first ever combination Laptop, Work and Sports backpack (28L). 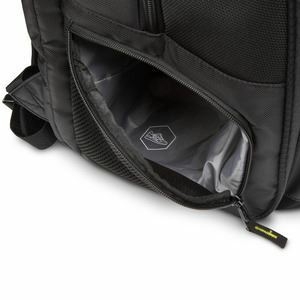 Shock-absorbing, dedicated laptop and tablet compartment for screen sizes up to 15.6". 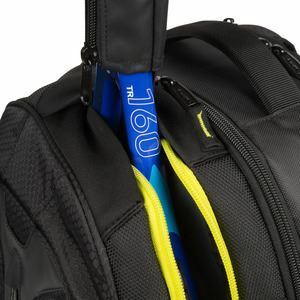 A separate, adjustable outer pocket for up to two racquets and protective sleeves for the racquet handles. 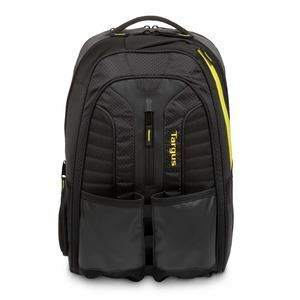 The all- new Targus Work + Play “Racquets” Backpack is ideal for active professionals who happen to love racquet sports. 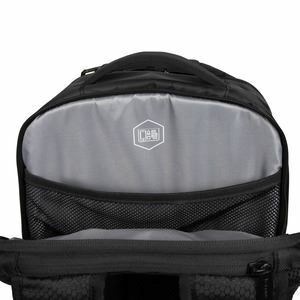 Intelligently designed, with three dedicated compartments for your laptop (up to 15.6”), work accessories and sports gear, it is as versatile and adaptable as you are. 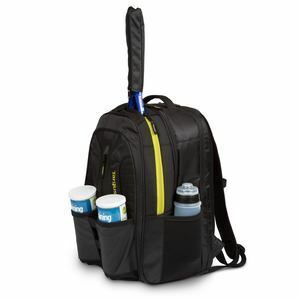 It is your Work/Life Balance in just one bag. Really Lift your Game. 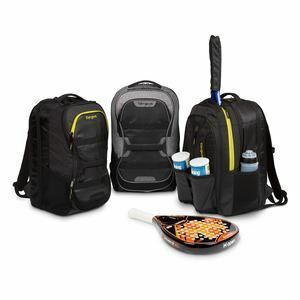 Tennis, Squash, Badminton… whatever racquet sports you choose, you can now carry all of your sports and work accessories with ease. 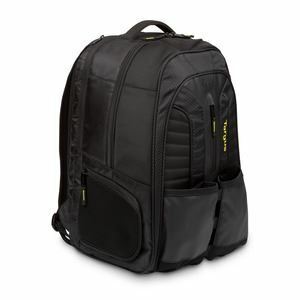 This is the laptop and sports backpack that serves up the aces. 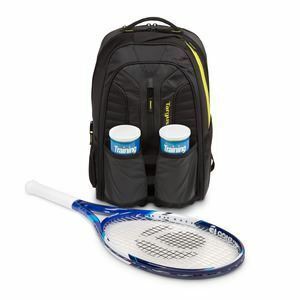 First serve: a super flexible outer compartment pocket that can carry up to two racquets, snugly and securely and includes protective sleeves for the racquet handles. 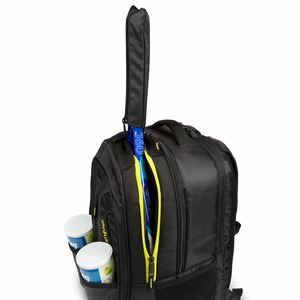 Second serve: a set of specially designed pockets to hold your shuttlecocks, squash balls or tennis balls. 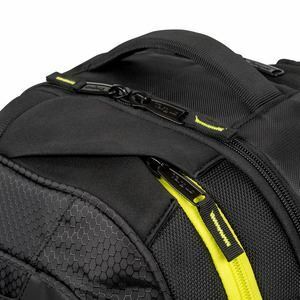 And finally, the unmatched point: a winning capacity to store your laptop and work accessories at the same time as your sports gear. So that’s game, set and match to the Targus Work + Play “Racquets” backpack. 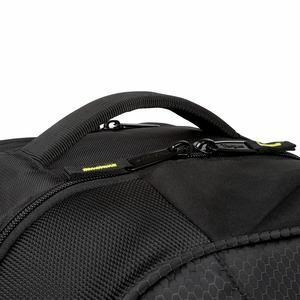 Carry your laptop (up to 15.6”), work accessories and racquet sports gear, together. 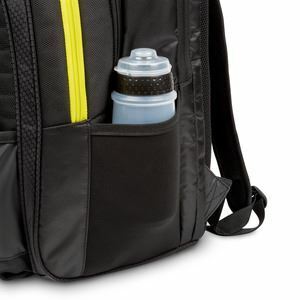 Lightweight, hardwearing, intelligently designed for professionals with active lifestyles. Get ready for action. 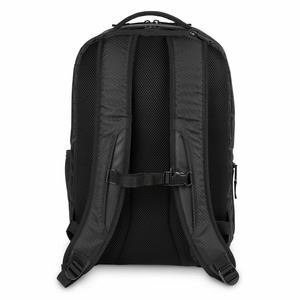 You get the tech protection promise that has made Targus the market leader in its category. 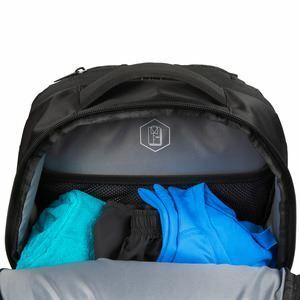 Together with the generous capacity you need and a dedicated section to keep your clothing, there’s even a ventilated side compartment designed for transporting your work or sports shoes. 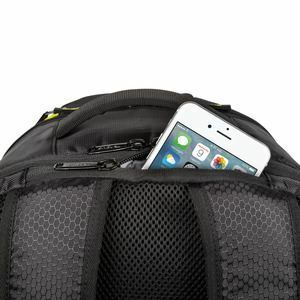 It’s a real game changer.